Andy Goldring is the Chief Executive of the Permaculture Association, the UK charity supporting people to learn about and use permaculture. 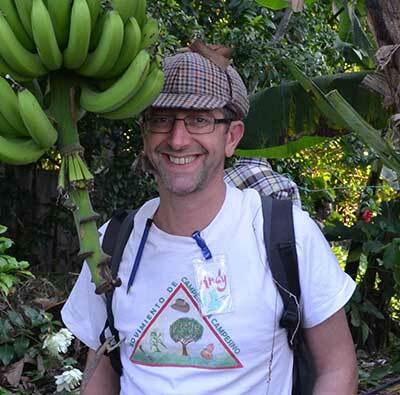 Andy lives in Yorkshire and is an active teacher and designer in the Leeds Permaculture Network and a member of Feed Leeds. He cycles to work, has a small garden and has nearly finished retrofitting his Victorian terraced house. © 2019 Lush Spring Prize. Tous droits réservés. Photo principale: Siliman Musse, an activist of Diritti a Sud. Photo by Allessandro Robolino.